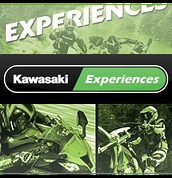 Welcome to the Kawasaki Leicester web site. 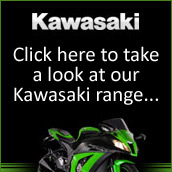 Here you will find the best deals in the UK from Leicestershire's official Kawasaki Dealer! 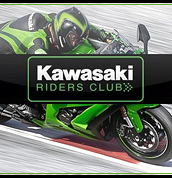 Kawasaki Leicester has a large range of RST clothing, Wolf clothing, Gear clothing, Oxford Bone Dry along with Kawasaki motorcycle helmets, HJC motorcycle helmets, Givi motorcycle helmets and Box motorcycle helmets. As you can see not only can Kawasaki Leicester sell you the bike, they can kit you out from head to toe as well! We also have a large display of Oxford products for you to choose from.